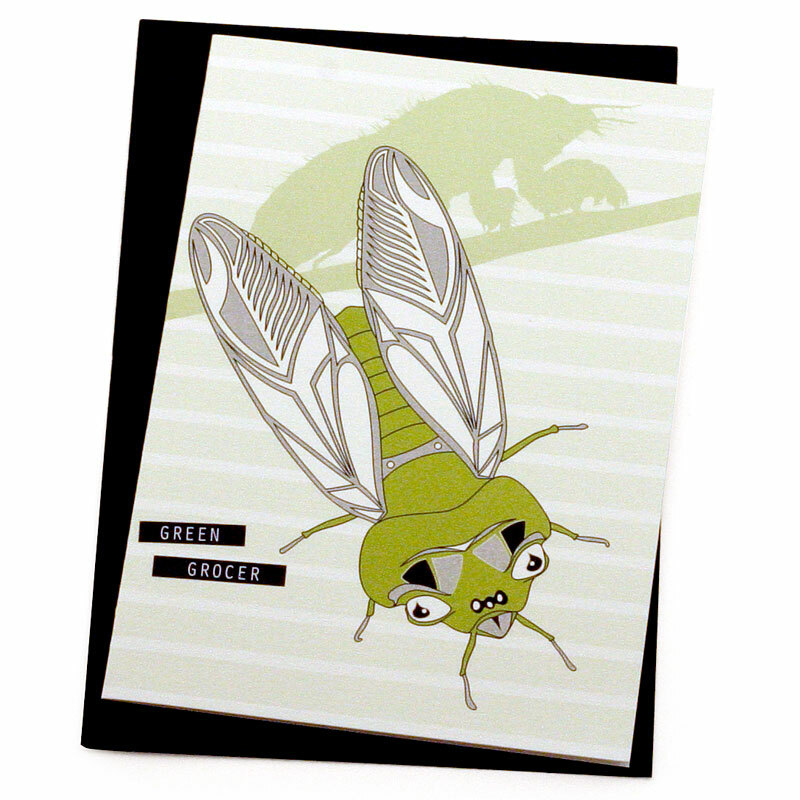 This standard sized gift card features an original illustration depicting a familiar inhabitant of the backyard, the Green Grocer Cicada. An elegant, detailed & quirky vector artwork with the familiar silhouette of the cicada shell in the background. Professionally offset printed in Sydney onto the beautifully textured Oxford paper stock, this card is accompanied by a black C6 envelope and comes individually packaged in a clear plastic sleeve. It is blank inside for your own message.